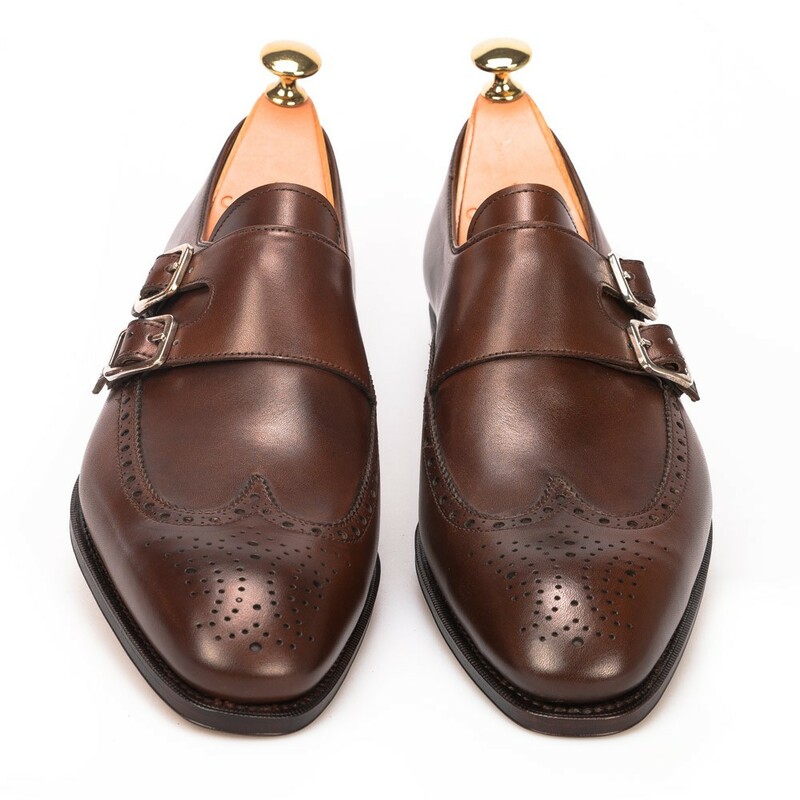 Short wingtip double monk in brown vegano calf from Tannerie d’Annonay. Featuring iconic medallion on the toe and single oak-bark leather sole. For this style we choose Simpson last. 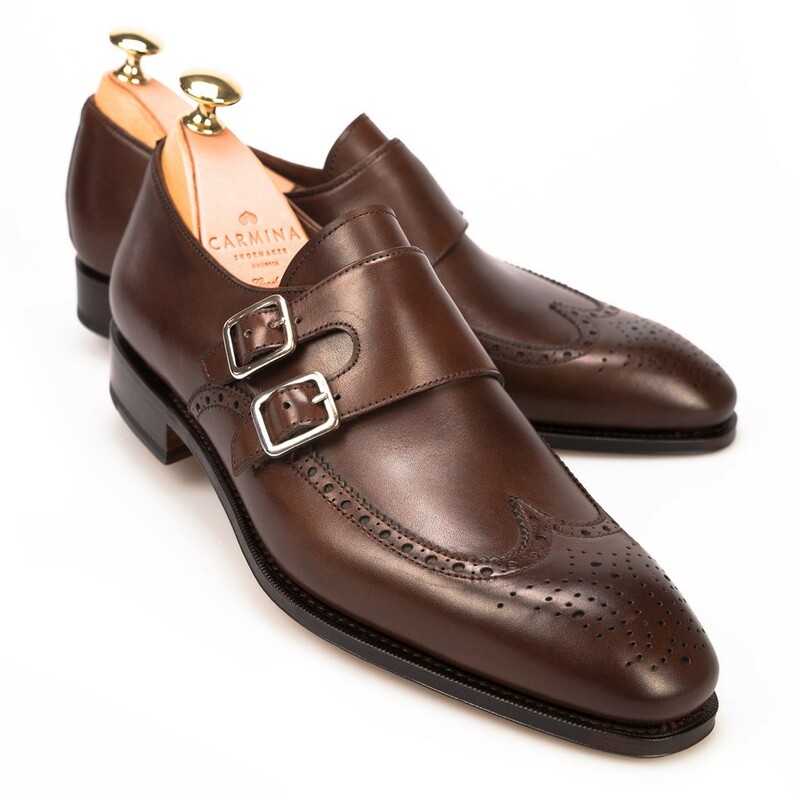 The Simpson is modeled after the Rain and it is one of the most used lasts in Carmina. It has an elongated forepart and a fine squared-off toe, and fitting is slightly narrower at the toe area when compared to the Rain. 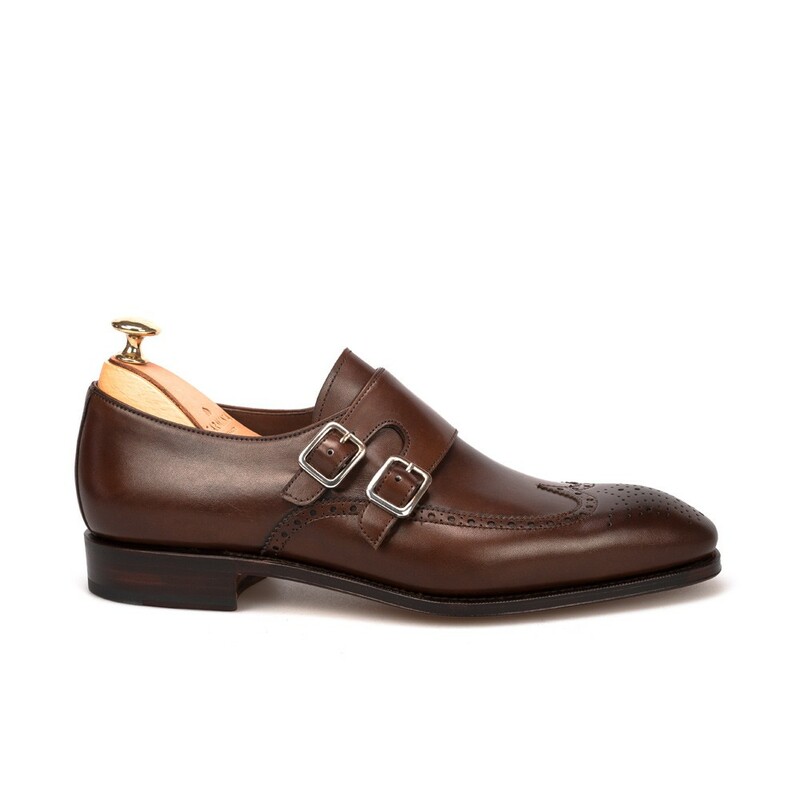 This last is usually the best choice for more elegant models, and it is often manufactured with a plain leather sole.